Lots has been going on here in the last few months. 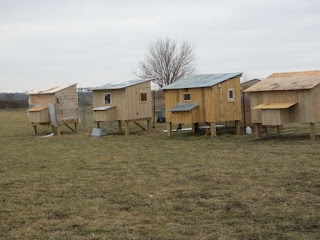 We have built three additional chicken coops. We've had fun over the winter building chicken incubators and hatching our own chics also! It's time to start planting in the garden and I don't have it all prepared! That's on the to do list this weekend. Hope it's not raining all weekend. That is so great you will have your own fresh eggs! I'm sure your garden will be awesome! Hope you are doing well. Have a great week! Wonderful! 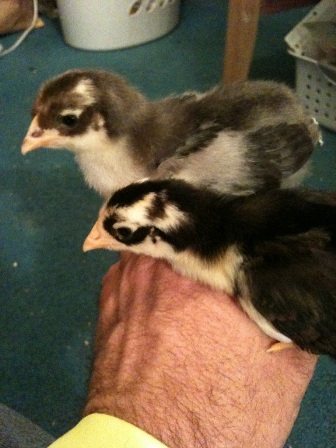 I love the chicks photo. Thank you! This Blog is PR Friendly-- Email Me! Easy Frugal Living's Favorite Things! All material is copyright of Easy Frugal Living ©2006, 2007, 2008, 2009, 2010, 2011, 2012 (unless otherwise specified) and may not be used without permission.